After months of rumors, Ducati has finally confirmed that a V-4-powered superbike is coming to mass production in the form of the Panigale V4. While we haven’t gotten an official look at the whole bike yet—we’ll have to wait until the Milan Motorcycle Show in November for the company to pull the wraps off the new bike—Ducati did release a video and several images of the all-new Desmosedici Stradale V-4 engine. The Desmosedici Stradale is a 1103-cc, DOHC, four-valve-per-cylinder, 90-degree V-4 with a 14:1 compression ratio. It weighs 143 pounds, only 4.9 lbs heavier than the Superquadro V-twin that powers current Ducati bikes like the 1299 Panigale and Superleggera. It has a maximum output of 210 horsepower at 13,000 rpm and 88.5 pound-feet of torque at 12,250 rpm. That’s a little more power and a little less torque than the supercharged Kawasaki Ninja H2. The street version of Ducati’s V-4 is actually slightly larger than the Desmosedici GP racing engine it’s based on. The 53.5mm stroke in the street engine makes it 103 cc bigger than the MotoGP version. That means the Panigale V4 can’t compete in the World Superbike championship with its 1000 cc limit, but more on that later. 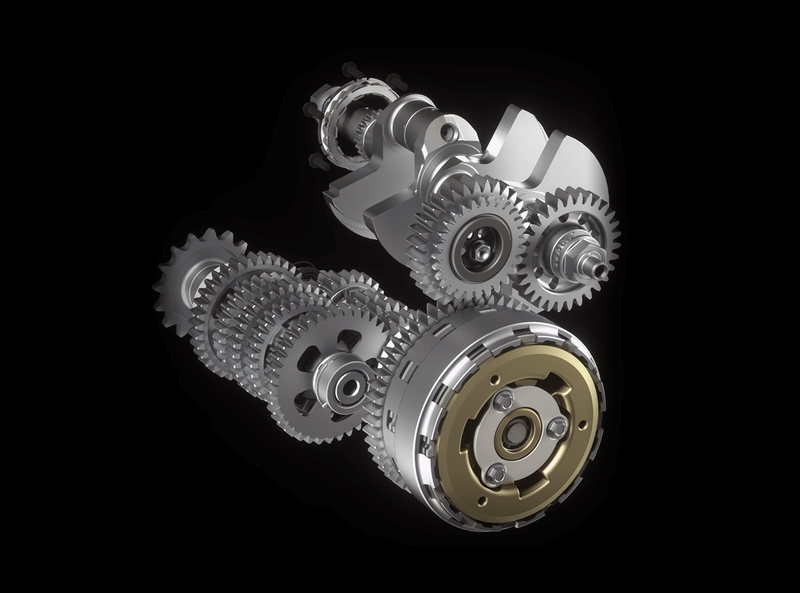 The new V-4 has a counter-rotating crankshaft inspired by the MotoGP version of the engine. The crank turning in the opposite direction of the wheels helps keep the power planted on the pavement making for a more agile and precise bike that’s less prone to wheelies. It also has a clever “Twin Pulse” firing order. There’s a very brief pause between the first two cylinders firing and the second two cylinders lighting up. This is to create a “big bang” effect when coming out of curves and it makes the power easier to handle. It also helps to create the signature sound of this V-4. 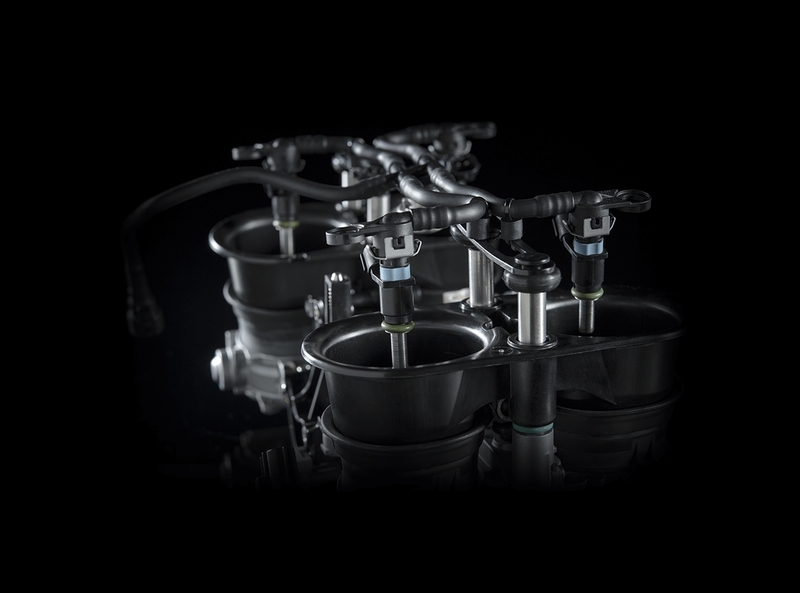 Fuel delivery comes via four oval-shaped throttle bodies, which have two injectors each. If the Panigale V4 doesn’t sound satisfying to you, there’s a more track-oriented version in the works that’s even more closely-related to the MotoGP bike. It will have a smaller, sub-1000 cc engine and rev higher than the standard street version of the Panigale V4. Expect the Panigale V4 R to come out in 2019. Since it will have a smaller engine, it’s a safe bet that the Panigale V4 R will compete in the World Superbike championship. 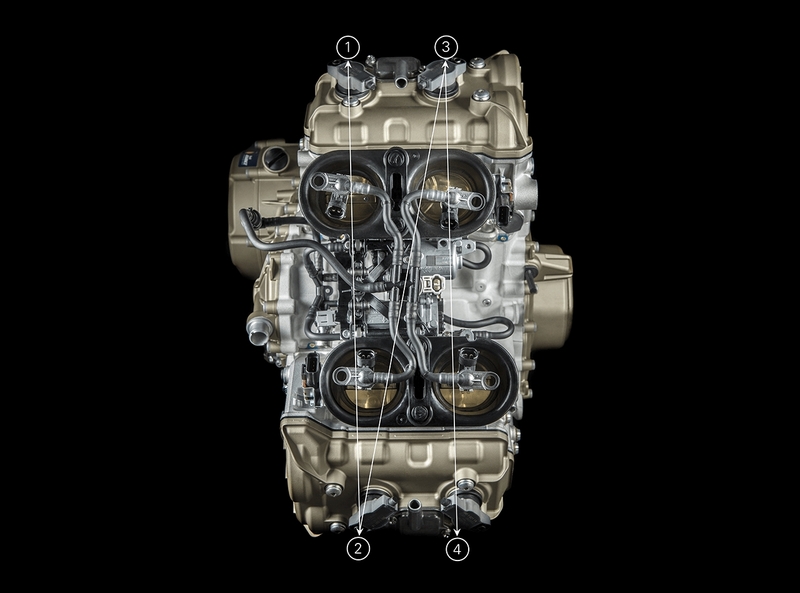 To see clean images and fine visual details of the Ducati Desmosedici Stradale engine, you can check out this video. But we at The Drive think the clip below is much more interesting. It shows the new V-4 on a test bench simulating a run around the Mugello Circuit in Tuscany, Italy. It's two and a half minutes of the superbike engine making sweet, sweet sounds along with visuals of what it would be like for a Panigale V4 to dash around the track.